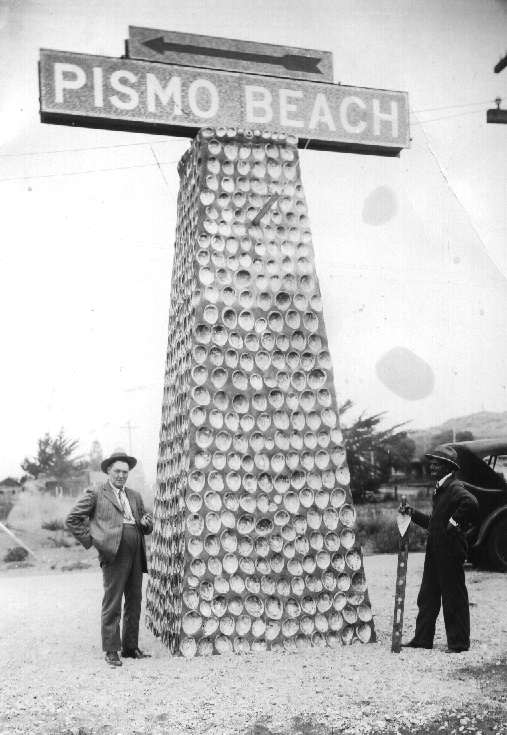 A nice 1920’s signpost… advertising Pismo Beach… and I am guessing these guys are the masons that built the sign judging by the level and the trowel. Pismo for those of you who don’t know… is home of the Pismo Clam… and they are using Abalone shells as decoration…. odd… so maybe these are oddfellows… rather than masons… anyway… I digress. I suppose they could just be SUPER big clam shells… But I don’t think so. When I was a kid… there were abalone shells in piles all over San Luis Obispo county… covering the edges of Morro Bay … out in edna valley for some reason… on the side of the road here and there… like trash. The abalone “farmers” would just pile them up in great heaping piles… along with oyster shells. You can always tell the old timer back yards in town… with old rock walls… and fish ponds.. now filled with weeds or some haphazard cactus arrangement… they usually have a few abalone shells in them somewhere. These days a good abalone shell will set you back about 10 bucks on ebay. and the giant pismo clams… Well when was the last time you saw a 6 inch clam eh. This signpost was replaced with a Giant cement clamshell sometime after this photo was taken… which is still there. Unfortunately… both the abalone… and the pismo clams… are mostly gone now. Hopefully the giant clam shell sign in Pismo is protected as a cultural landmark. Actually there are two giant concrete clams on the side of the road in Pismo… about three blocks from each other. Evidently one big clam wasn’t enough. 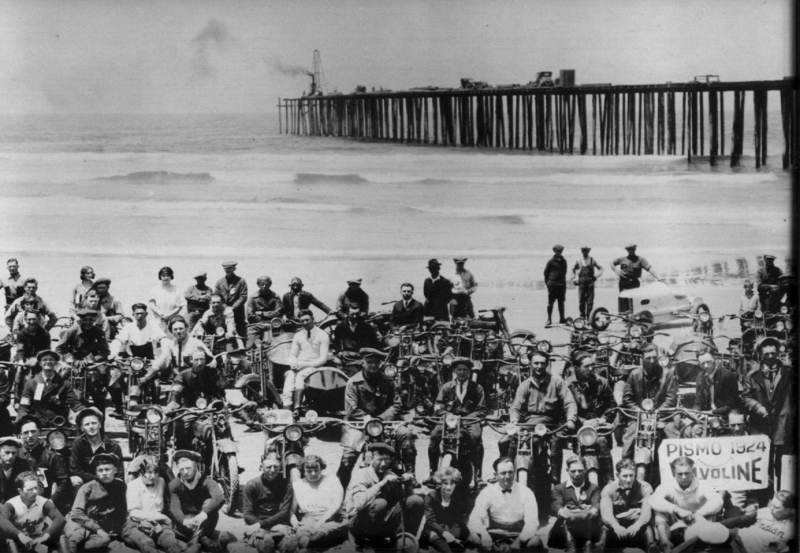 Here are some early bikers on the beach with early motorcycles… a motorcycle gang pre wild bunch era. I would love to talk to this group… and hear their perspective on things. 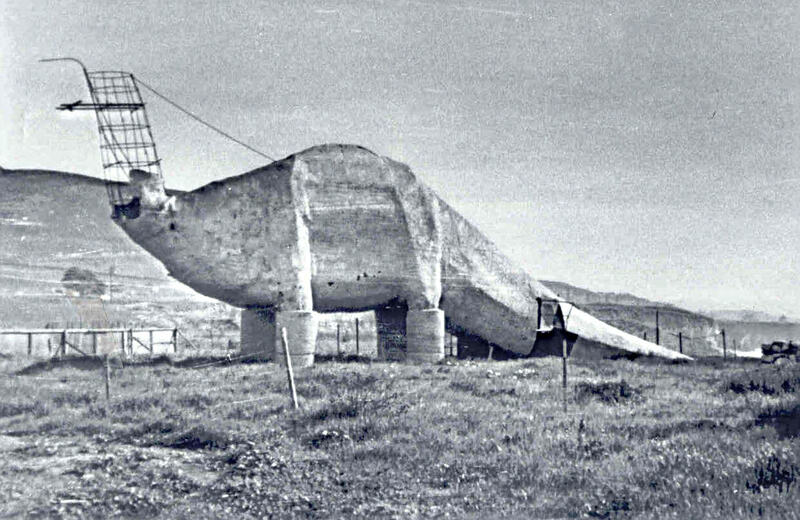 and howabout this shot… of the ferro-cement dinosaur namesake from “dinosaur caves” in Shell Beach… all that is left today… are a couple of concrete dinosaur eggs put there a few years ago… in some sort of oddball tribute to the fake dino of years ago. It would be cool to get the real fake dinosaur back… and I would love to see kids climbing all over it. 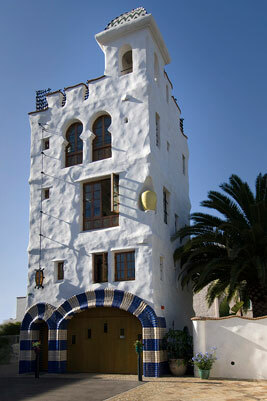 These and a bunch of other shots of old Pismo were sent to me by my buddy Richard Jeffers in Santa Barbara. He ran an upholstery business in Lompoc for many years… and then moved to Santa Barbara and retired… but still did upholstery for a long time there. He has done a lot of cool hot rods over the years. 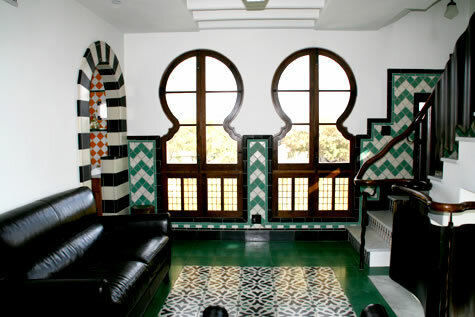 He did the interior on our Rometsch Beeskow. Thanks Jeffers!